When it comes to elegance along with complete comfort, Jute Gents Kurta is one of the best choices. 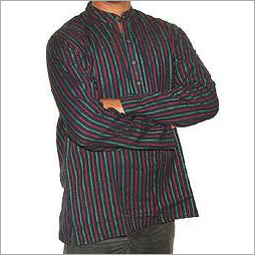 This is considered as the most popular ethnic wear for men. Undoubtedly, this wardrobe is the first and foremost choice for those who look to give an ethnic feel to their personality at any occasion. Jute gents kurta is preferred now a day over gets kurta designed from other fabric like cotton, silk, etc. Jute gents kurta is designed from the organic material, jute to revolutionize the fashion industry. It can be teamed up with jeans, pajama or churidar to add glamour to the persona. In addition to this, it can be worn with dhoti to indulge into a complete traditional or ethnic look. When wear with stole and matching mojaris, it becomes a perfect piece to give rich cultural look to the wearer. Jute gents kurta designed from jute is highly comfortable to wear. Its loose stitching and finishing make the wearer feel comfy. 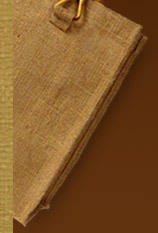 Use of organic fabric Jute in the production adds softness and silkiness to the kurta. In addition to this, breath able property of jute yarn makes the wearer breath easily without any kind of sweat and smell. Regarded as one of the most traditional wear, it is ideal to portray the manly charm in any informal, semi-formal or traditional event like wedding. The range of this type of jute gents kurta is endless. A wearer can choose from the wide variety of designs, styles and patters. Its collections start from the simple to heavy embellished ones using beads, mirrors, stones, embroidery, patch work and so on. Moreover, such jute gents kurtas can be availed in various cuts, sizes and designs on neckline, collar, cuffs, pockets etc. This highly durable and easy to wash kurta designed from jute can be bought at very pocket friendly prices.